On 11th August 2017, CBSE announced finally UGC NET Notification for 5th November 2017 exam. So, to help students understand all important aspects of UGC NET Notification. Also, help them apply for UGC NET exam online effectively. Therefore, we bring you UGC NET Notification updated with the latest information. From covering important dates, syllabus, exam pattern to UGC NET contact information and online application procedure step-by-step are all elaborated in this article. However, before you start we recommend you to read CBSE UGC NET latest notification on Aadhaar card. Because now it is mandatory to have Aadhaar card for the application. However, without Aadhaar card candidates are required to enroll for it then candidates can apply using Enrollment number. 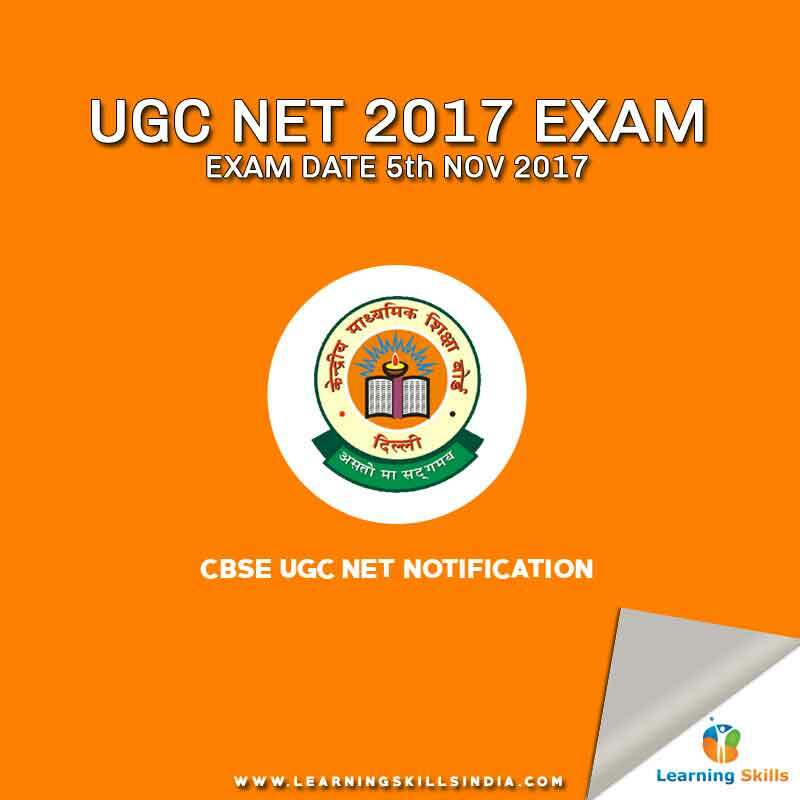 Let’s us start with important parts of UGC NET Notification 2017 for 5th November exam. Before filing an online application for UGC NET exam, students should go through UGC NET eligibility criteria thoroughly. Minimum 55 percent in Master’s Degree or equivalent from a UGC recognized University in India in respective subject. A 5 percent relaxation is awarded to reserved categories – SC, ST, and OBC. Students in their final year of Master’s Degree or equivalent from a UGC recognized University are also eligible. Provided they achieve above-mentioned eligibility within 2 years’ span. A 5 percent relaxation is provided to the Ph.D. holder, who’ve completed their Master’s Degree or equivalent by 19th September 1991. To qualify for JRF minimum age requirement is 28 as on 1st November 2017. 5 years’ relaxation is provided to reserved categories and women candidates for JRF eligibility. 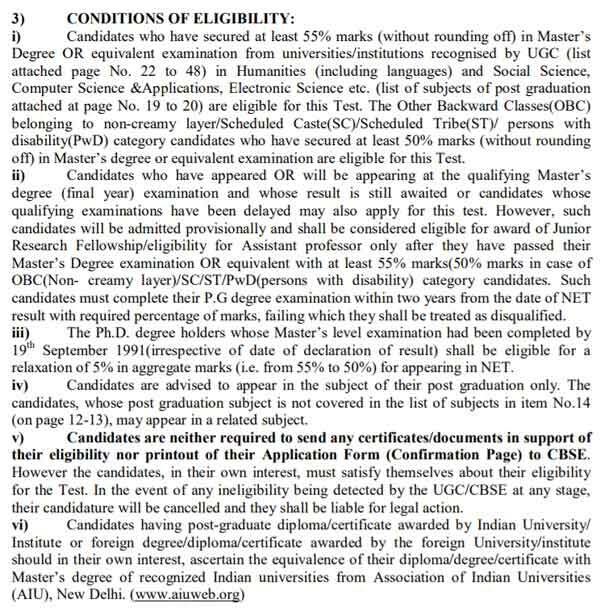 No upper age limit to apply for Assistant Professor job in India. SET candidates are exempted from NET. However, they will be eligible to apply for Assistant Professor job only for the universities located in the state from where they qualified their SET. Reviewing UGC NET exam syllabus of the subject you chose is critical to your UGC NET exam preparations. Each subject has different syllabus (that covers Paper 2 and 3). However, exam pattern is same for all papers. The UGC NET exam consists of 3 papers namely Paper 1, 2 and 3, and the exam is conducted in two sessions. The Paper 1 is general paper, while Paper 2 and 3 are your subject matter papers. The table is given following to perfectly elaborate UGC NET exam pattern. The UGC NET Paper 2 and 3 syllabus covers your chosen subject syllabus up to the Masters or Postgraduate level. Therefore, you have to dig deeper and cover almost all books that you’ve had in your Master’s course. You can visit official UGC NET website for original syllabuses for all subjects. In the step number 6 as mentioned you’ve to upload your scanned signature and photograph in set dimensions. Most of the time students find it difficult to do it themselves. However, you can do it yourself using the free online photo editing tool PIXLR.